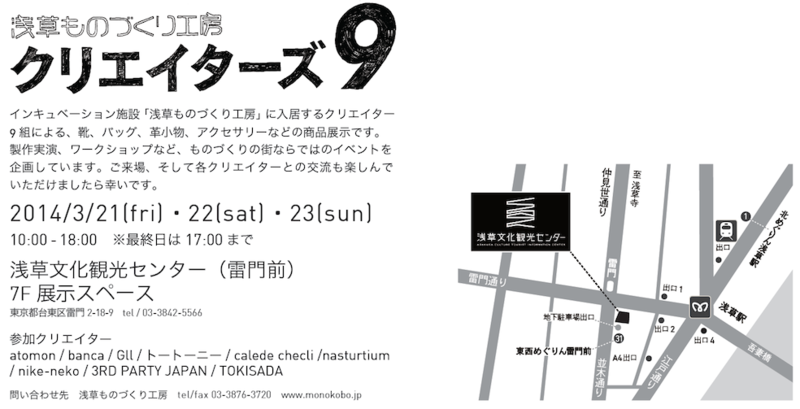 Exhibition of various products such as shoes, bags, leather goods, and accessories by 9 creators from facilities in the “Asakusa Monodukuri Kobo”. 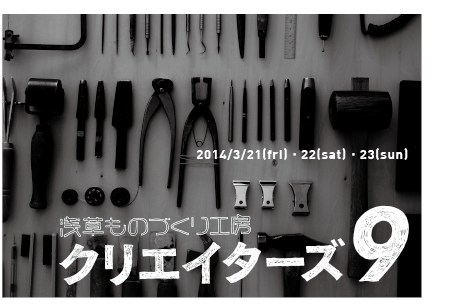 Planning production demonstrations, and workshops, the events of the city of craftsmanship. We are looking forward you to visit and enjoy exchanges with each creators.